Over the years, businesses and people have both embraced Halloween as being much more than just a day to pull pranks and dress up in crazy costumes. 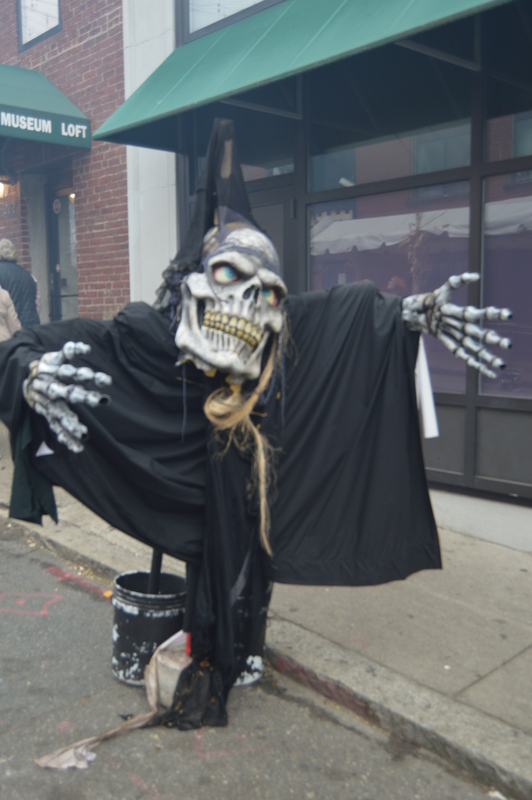 Halloween has become a season rather than a day and there may be better place to experience the spirit of the Halloween season than in New England. 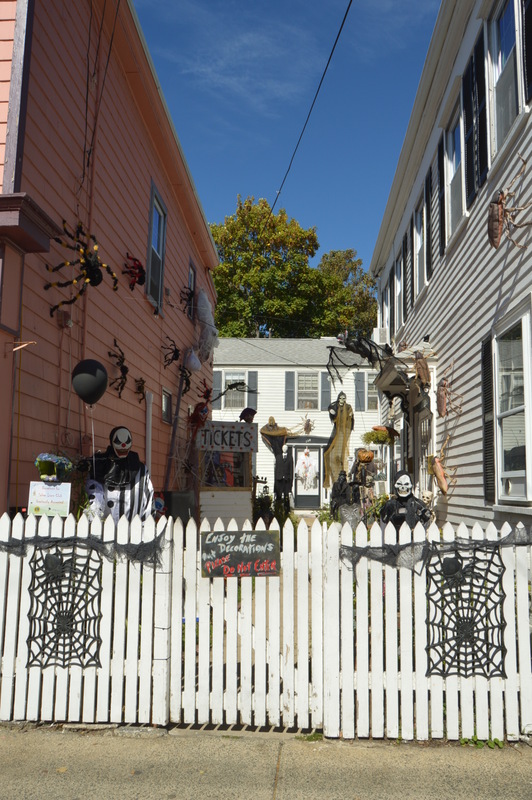 Below are just a few of the Halloween decorations I have seen in my travels in New England these past few weeks. Every year during the Halloween season, the owner of this house on Derby St decorates his or her home. The decorator also has a place to donate money to the Lion’s Club. When I stopped by October 1st, there was only a few decorations up. However, the next time I visited, the following week, there were a lot more decorations up. This home is another staple of the Halloween season. Frankly, it would feel weird walking past the home this time of the year without seeing the elaborate display. The bugs really creep me out! 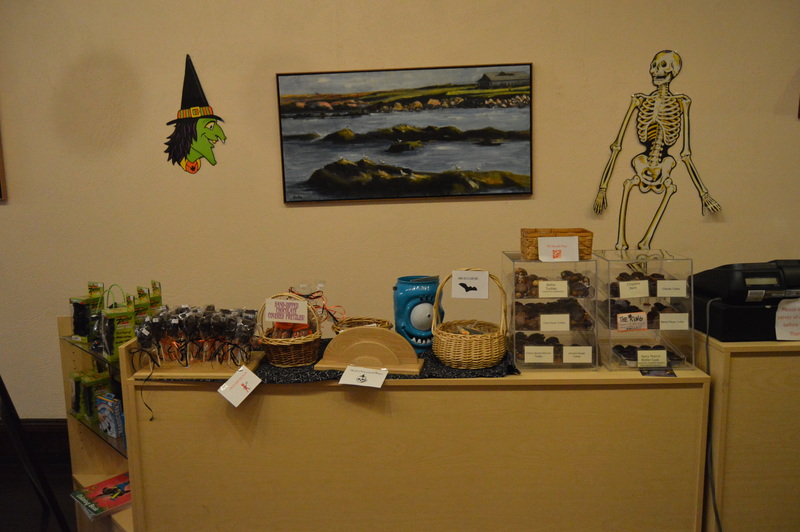 To see the display from last year, you can click on my blog post from last year. There was a special visitor in the yard during my visit. A neighbor was walking her cat in the yard. This house on Hawthorne Blvd always has some interesting decorations and nick knacks on it property. This tree was decorated with a variety of bird feeders. 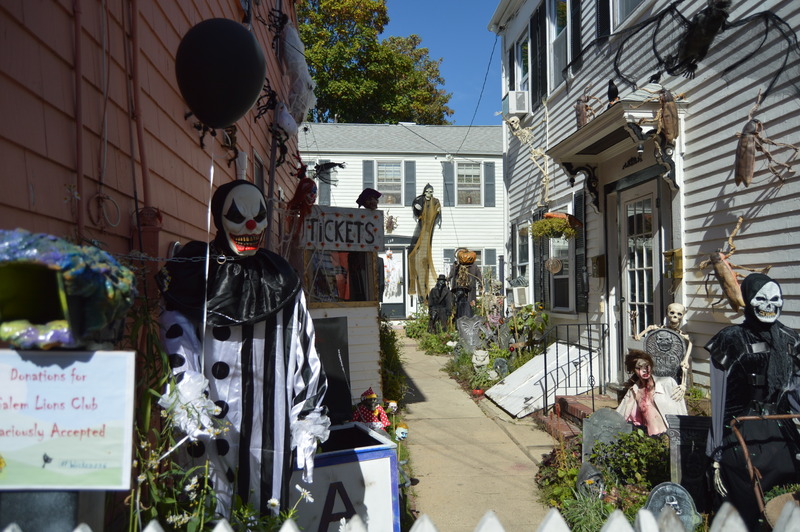 Many of the homes in Salem get into the Halloween spirit. These are a few historic homes and private residences that were decorated for Halloween. Many of the businesses in Salem decorate for the busiest season of the year. 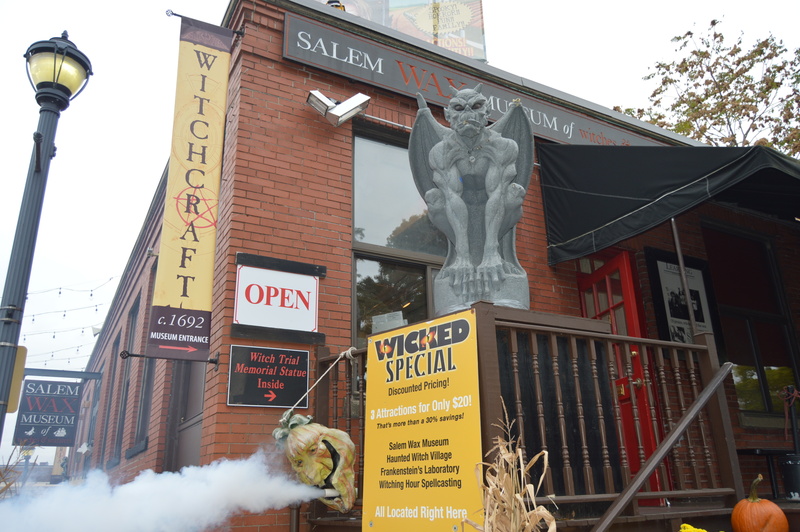 Witch’s Brew Cafe (156 Derby St) decorates their windows each year with different popular horror characters. Mercy Tavern (148 Derby St) also had some fun artwork on their windows. Dave Engs Flowers ( 136 1/2 Derby St,) put some spooky statues on his building. These customers at Rockafella’s (231 Essex St,) must have been waiting a very long time for a table. Witch Tees ( 172 Essex Street Suite 127) had a very useful mirror. The Purple Scorpion Body Piercing & Tattoo (140 Derby St) dressed up their shop for the holidays. I am actually not sure if Fivehands Curiousity Shoppe dressed up their store storefront for the season or if it always looks like this. So, contrary to some people’s opinion. I am not a vampire. The person that looked in the mirror before me, though! 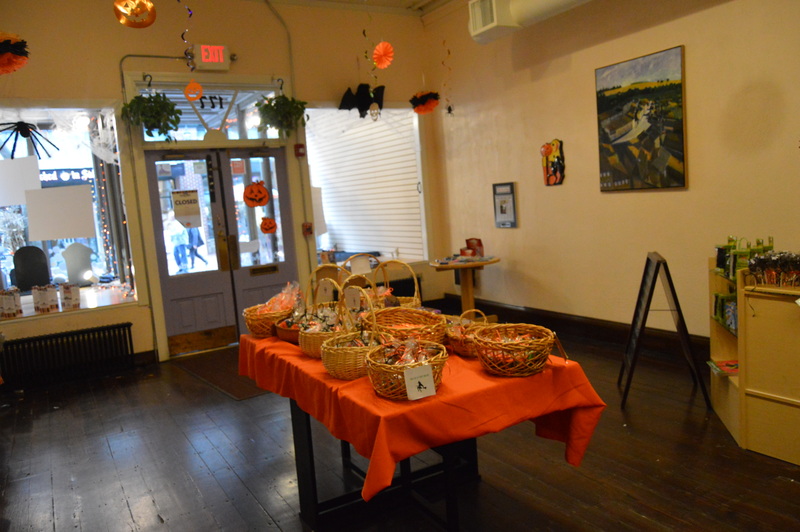 You might expect people and businesses in Salem to decorate their homes and buildings. But, Salem isn’t the only place people like to decorate. Of course, it’s hard to pull over some places to take photos of decorations and it’s not usually worth it if you’re in a hurry. But, I was able to pull over to the side of the ride on a quiet road in Kittery, Maine. Cause nothing says “Happy Halloween” like creepy dolls that look like zombie children. These creative “pumpkin people” were on display throughout Portsmouth, NH.I found these particular decorations on State St in Portsmouth. At least they look very happy. 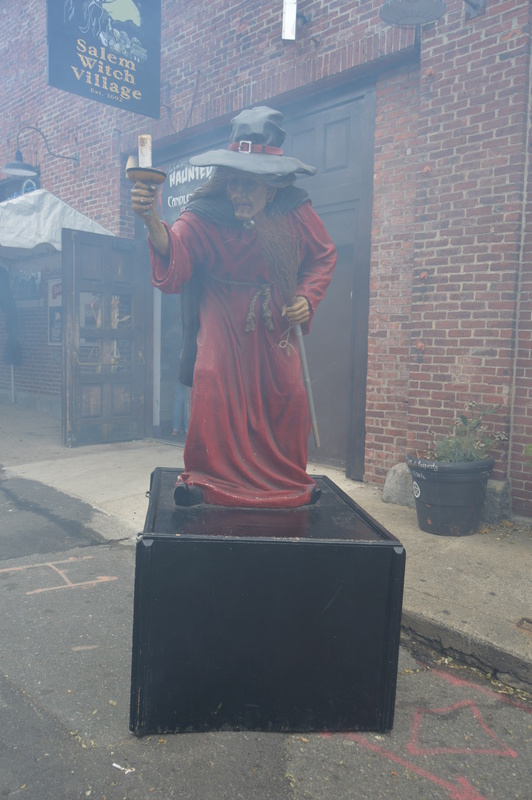 I also noticed this witch on a telephone pole in Salem, MA. It’s one of my favorites but I think it’s up all year long. This lucky dog, Dolly, got carried around the mall! Hours: Accessible everyday, 24 hours a day. Parking: You can park on Roberts St. Most houses are decorated for the holidays, birthday parties or some other celebration. But, the Wonder Woman Rosey House on the corner of East Center St and Robert St in Lee, MA is decorated all year round. Without knowing the back story or reason for decorating the home, the house and property may seem crazy or a little bizarre. However, it is more of a tribute and memorial than some random decorations. Rosey (or Rosemarie) was the wife of painter and resident of the house, Bob Dupont, a professional painter. He painted and decorated his home and property as a tribute to her. The garage next to the house is decorated primarily in red, white and blue. The decorations do not stop there at the garage, though. The house and property are also decorated with decorations and statues ranging from Santa Claus to rabbits. I would have loved living in a house like this when I was a growing up. It looks like a real fun place to experience! There are many randomly placed decorations scattered around the property. The home owner doesn’t seem to mind having visitors. I wasn’t bothered or questioned while I photographed the area. But, it is private property. So, visitors should be respectful of that. The featured link of the day is another decorated home called The Crazy Christmas House in Coventry, RI. Plymouth, MA, is beautiful enough on its own. But, Plymouth during the holiday season is simply magical. As part of their holiday season in Plymouth, MA, Plymouth 400, an organization which promotes the celebration of the upcoming 400th anniversary of the Plymouth Rock landing which will occur in 2020, helped illuminate Plymouth. The festivities began with a celebration of some of the residents of Plymouth, MA and the surrounding area and some entertainment at the Hedges House on Water Street. The entertainment consisted of interpretive dance, an acapella rendition of John Lennon’s song “Imagine” and a celebration of a family in Massachusetts who helped start a charity which helps buy cellphone minutes for soldiers overseas (Cellphones For Soldiers). After the Plymouth 400 celebration, the city was aglow with holiday decorations (both Thanksgiving and Christmas). I was a little disappointed at the lack of decorations and some of the decorations weren’t lit by the time we got there. In fact, some of the better decorations were not on Main and Court Streets but off Water Street like these decorations at CabbyShack and The Tavern On The Wharf. It is not a long walk to get from Court Street and Main Street. Just walk straight on either street (Main Street becomes Court St and vice versa). I was able to take a few photos of the holiday decorations on Main and Court Streets. It still was enough to get me into the holiday spirit, although it pales in comparison to some of the other displays in New England. At the same time, the scaled down decorations somehow gave it a more “small town” and tasteful feel to it which is also nice. Let’s face it, some places can overdo it with the lights and decorations. The decorations are still up and a few more have more than likely been added. Plus, there is the annual Kiwanis Christmas Tree Lighting Friday, December 2 from 5:30 to 8 which will really get the city’s holiday season in gear. 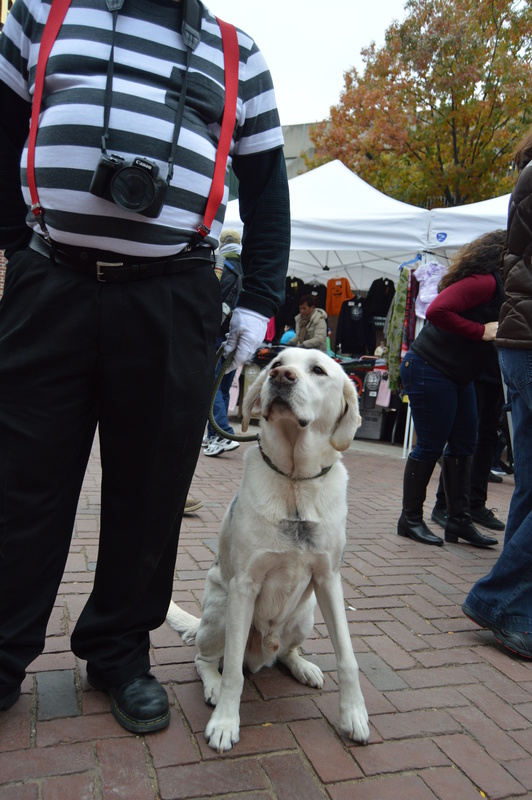 I did see a cute dog at the Plymouth 400 celebration. Tully, a 3 and a half month old Labrador, was in the holiday spirit! Every year during the holidays, I make my annual trip to Yankee Candle Village in Deerfield, MA. 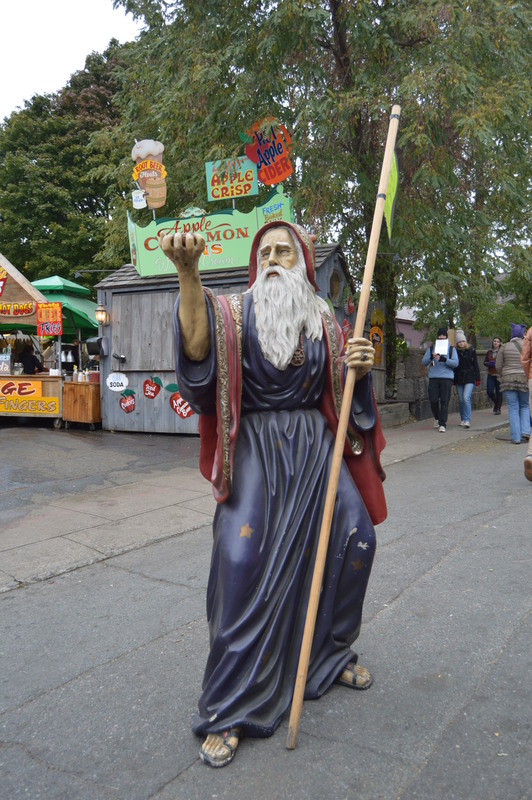 The flagship shop of New England, the Yankee Candle Village is known for his decorative and at times eccentric displays. But, during the holidays they go the extra mile. From the moment you walk onto the property, the Yankee Candle Village welcomes you with holiday cheer and some unique decorations. Inside the store, there is an assortment of holiday decorations and not just holiday decorations. 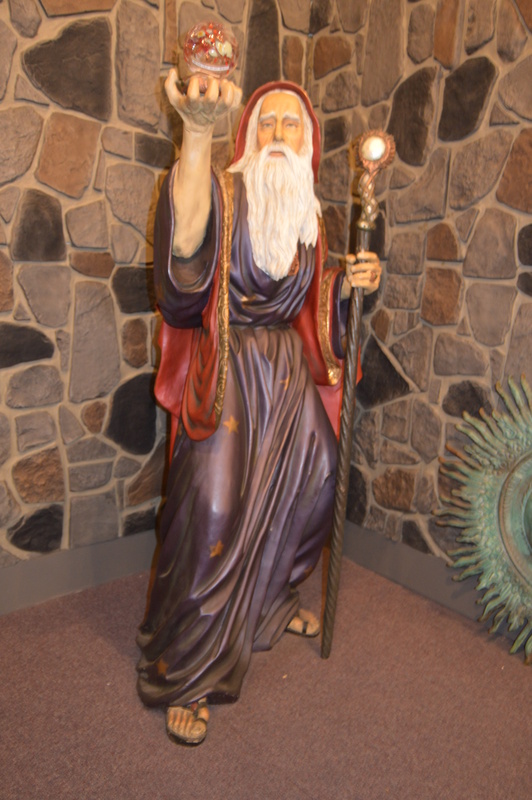 Wizard of Oz statues, model cars and other displays can be found throughout the shop. There are Christmas trees galore. Every where you look it seems there is a tree decorated in a unique way. There are also Christmas village light up displays located in one room. They also have a Halloween village set up. There is also a fountain in the shopping area and a mechanized band that plays for the children. It looks kinda creepy to me, though. As I left the shop and day turned into night, the lights from the trees and decorations outside lit up the area. It was raining pretty hard so some of the images produced spots that almost look like snow. Sadly, it was only raindrops. There will not be any snow on Christmas for us this year. There are also many automated attractions at the shop. 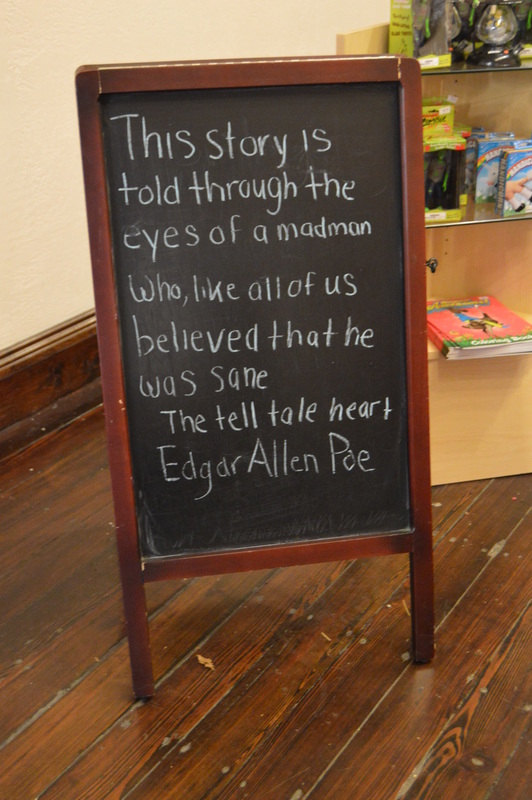 For instance, in the front of the store there is a toy train that runs along the wall. Every 4 minutes, it “snows” at the Snowplace Factory in the North Pole of the store. To get a full appreciation of the light display, I am including a short video showing off all the lights outside the store. There may be nothing more festive than the holidays in the city. The city is so alive. Lights illuminate the dark city streets. Children gaze at all the trees and decorations. Even adults get into the spirit of the season. This was not more evident than at Faneuil Hall in Boston. 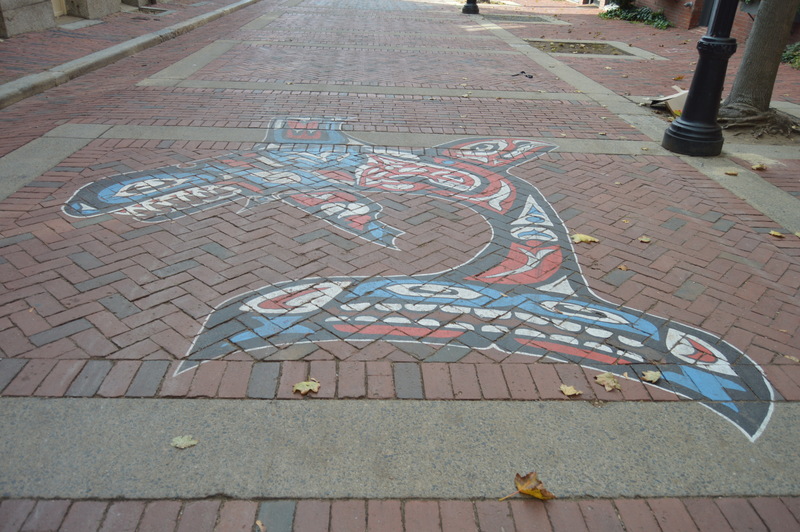 There are many statues and memorials at Faneuil Hall. This statue of Samuel Adams stands in front of Quincy Market. You can see some of the lights in the background. There is so much to photograph in the area and I will include other shots from the area in a blog post another time. I wanted to focus mainly on the holiday decorations and lights in this post. Trees are lit up throughout Faneuil Hall. Stores and restaurants also decorate for the season. The main attraction has to be the tree, though. The lighting was not very good so I included a few different photos in the slideshow below. The only thing missing from the holiday display at Boston Common is a fresh layer of snowy ground covering. I’m still getting the hang of my long time nemesis: night time photography. So, some photos are a bit grainy or blurry. The Menorah was lit today (Sunday) as Hanukkah began today. It was not lit during my visit Friday night. Boston Common has become a family friendly spot for people of all ages to enjoy. The Tadpole Playground is a fairly new addition to the Common. The Frog Pond is iced over during the winter for skaters young and old, and of various skating ability. the zamboni’s coming right at us! There’s not a shortage of things to get even the Scroogiest folks in the holiday spirit. The Prudential Tower is visible from the Boston Common. Each day in December they are lighting the top of the tower in the colors associated with a different charitable cause, as part of their 31 nights of lights. The night I went they were recognizing the Catching Joy organization. Lucky for us, the charity’s logo has a variety of colors in their name. My photo is a little blurry but I am posting a video of the tower’s lights changing colors below. The State House, located just behind the Boston Common, is also decorated for the holiday. There’s something magical about Halloween. It’s a time when adults can still pretend to be a kid again, even just for one night. Even the most mature, sober person can forget their responsibilities and relive their carefree days just a little. 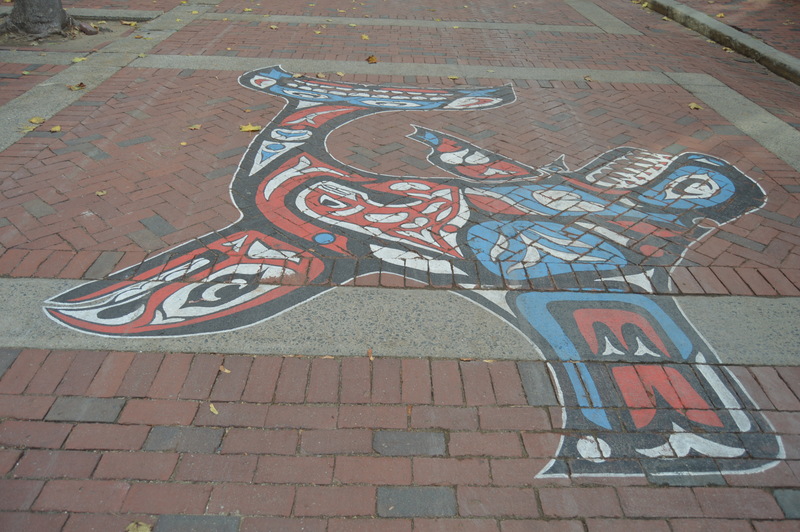 For the remainder of the week, I will be posting the remaining photos from my trips to Salem, MA. 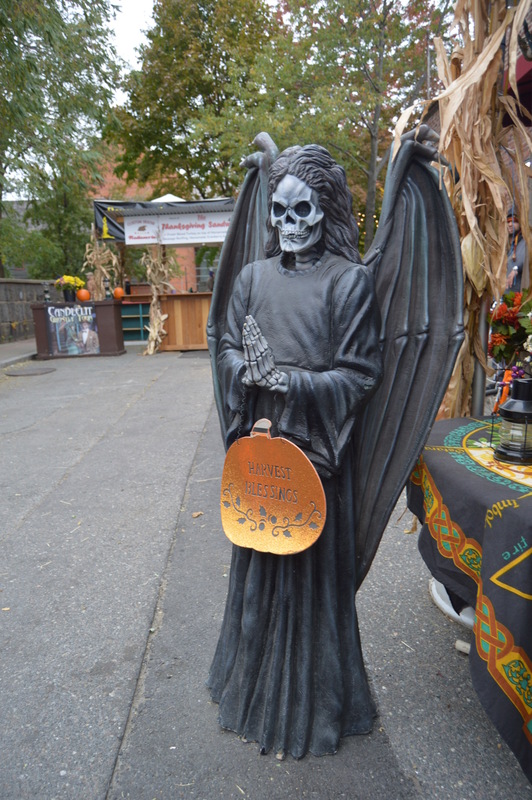 In this edition, I am posting photos of the various decorations, some other miscellaneous things and, of course, a few dogs from my travels in Salem. 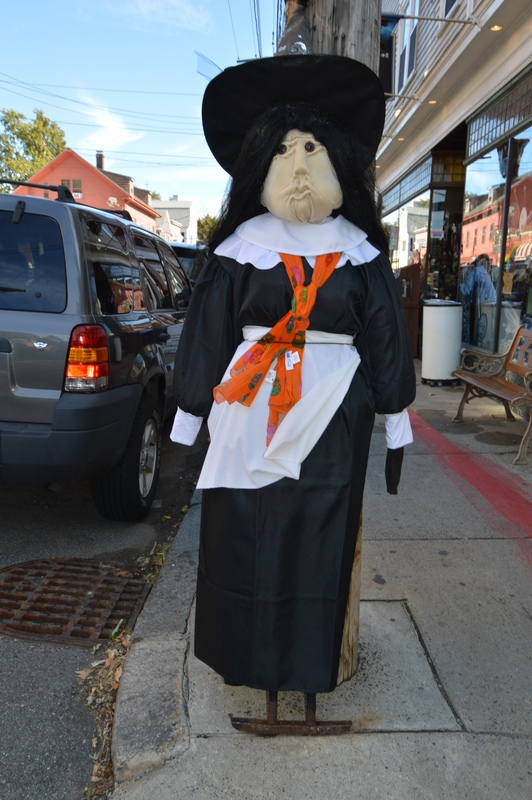 Salem is known world wide for getting into the spirit of Halloween. Everywhere you look, there are decorations of the season. Besides the vendors selling merchandise there are also games and other fun types of activities. 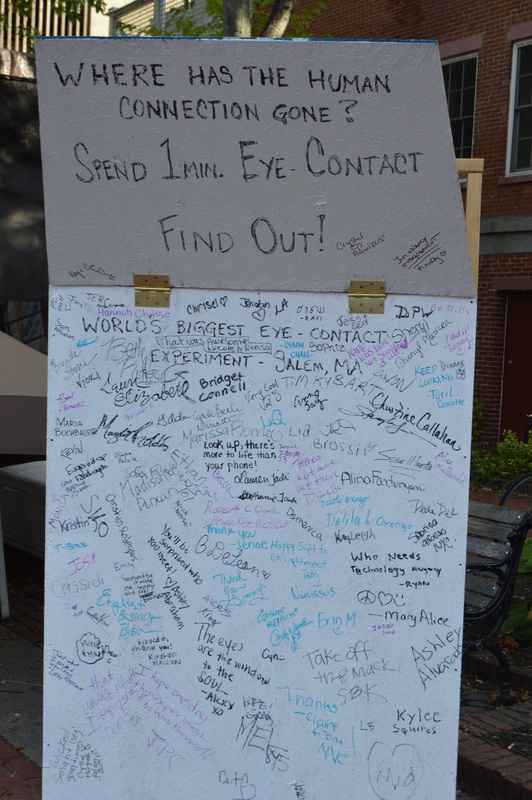 This particular activity was meant to see if people could maintain eye contact with a complete stranger and possibly make a connection, even on just a platonic level. It sounds like a good ice breaker to me. 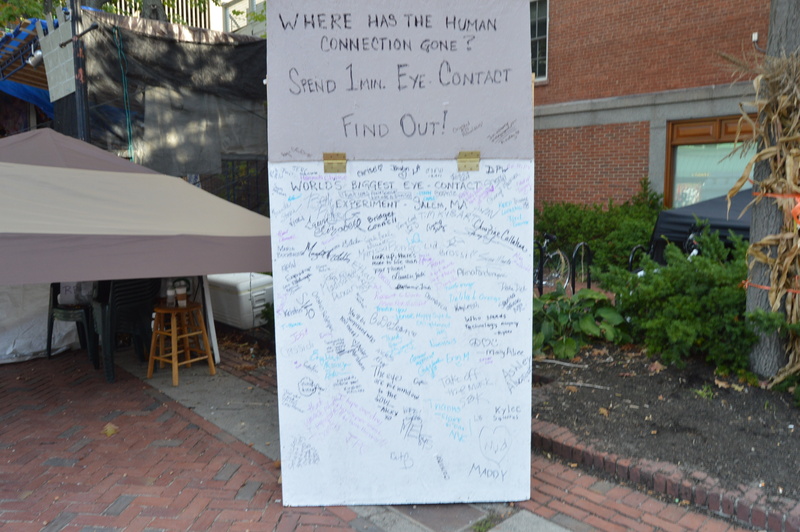 The comments about the activity on the board are very interesting and humorous. 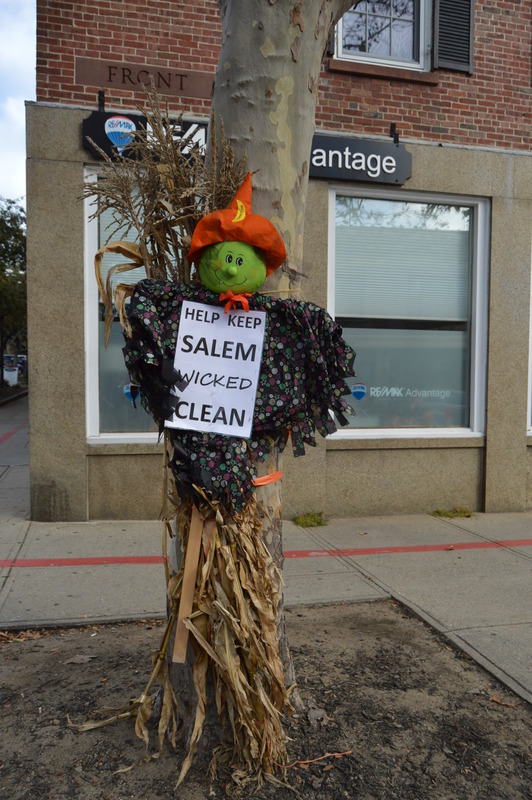 Salem is also creative in how they tie the season to other causes like this witch who encourages people to keep Salem “wicked” clean. 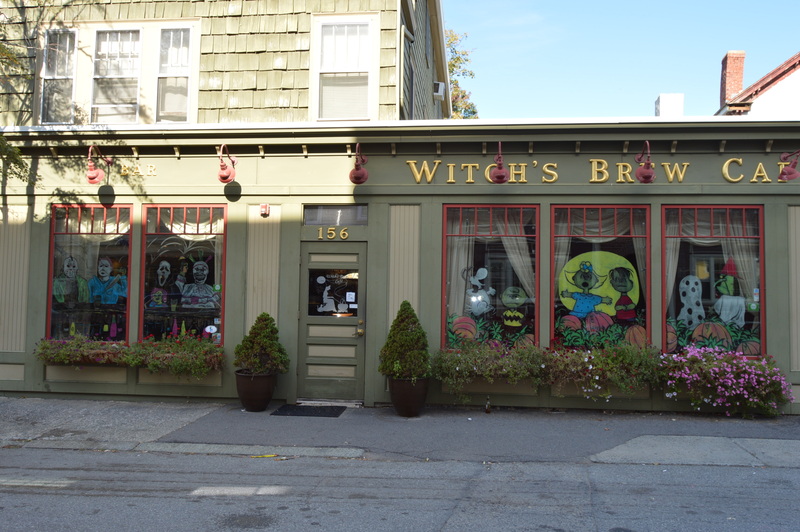 Even Witch’s Brew Cafe got into the mix. Other stores and attractions, many open only for the Halloween season, decorate for the season. Some stores have humorous names without even realizing it. Of course, this is a name of a hole in a barrel that often contains alcohol. But, it may have a double meaning.. This is why Salem is so great. The people even get into it. This resident decorated his or her residency and put out a can for donations for the Lion’s Club. 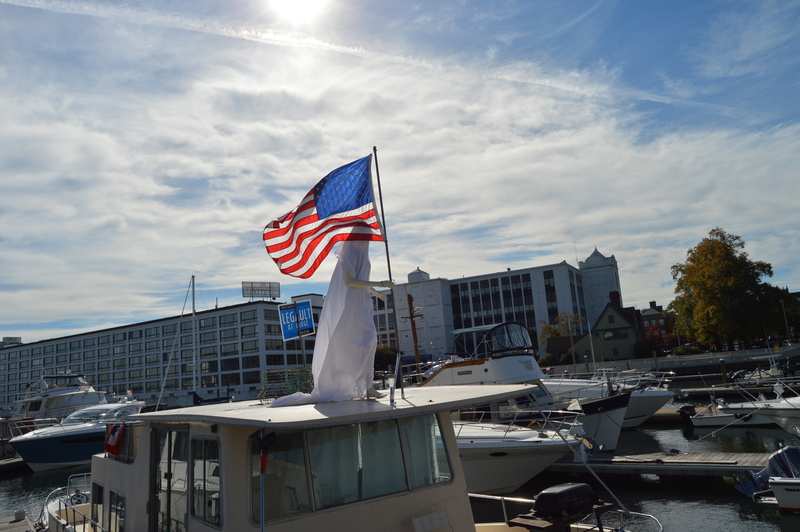 This ghostly figure was seen in Salem harbor. 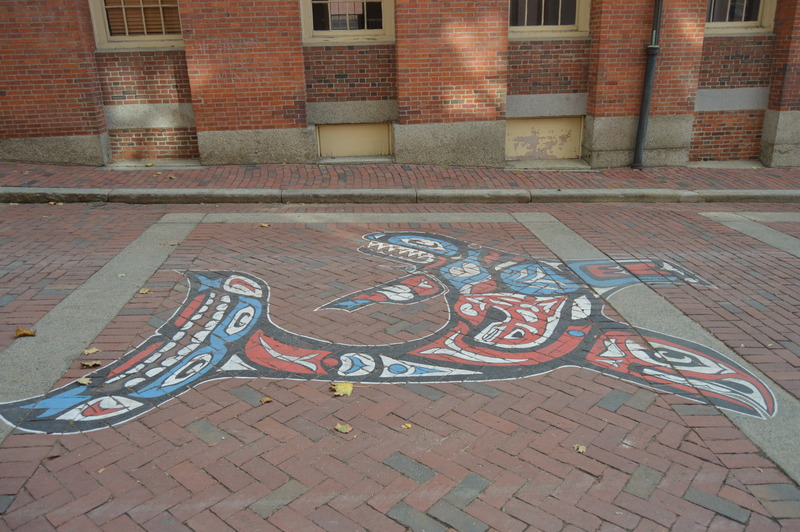 Salem is also known for its art and not just during the Halloween season. There is art everywhere it seems. 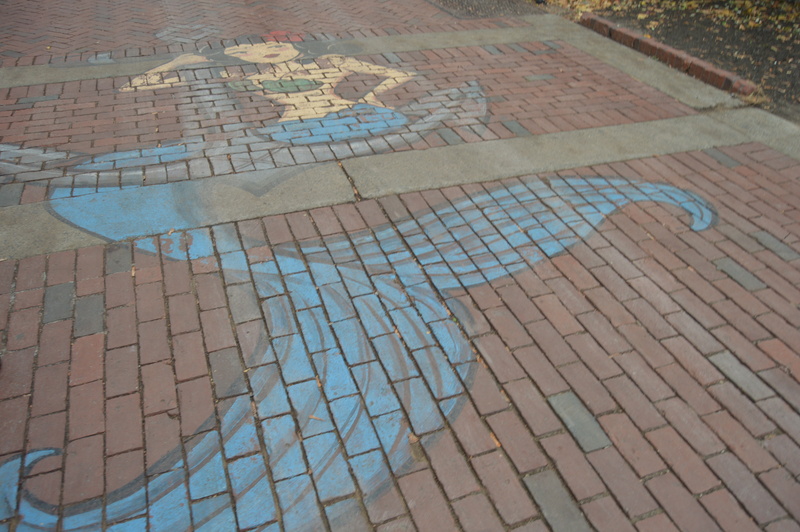 These paintings on Essex Street portray a mermaid and a fish-type creature. 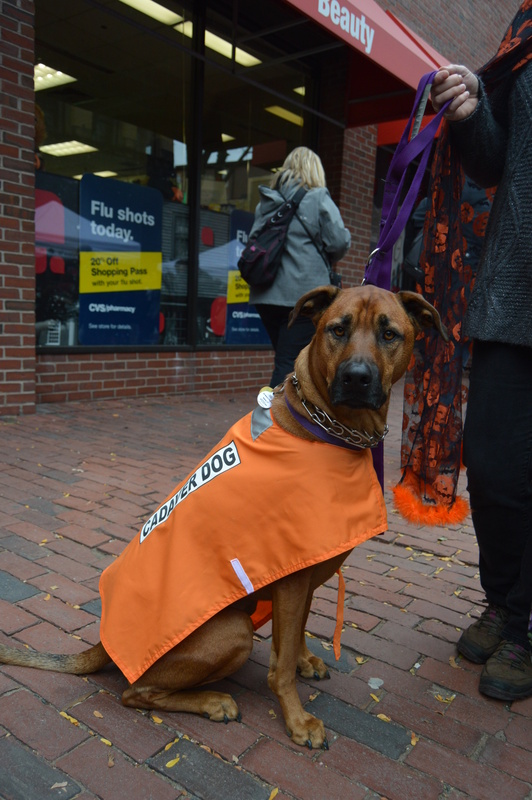 The dogs in Salem also get into the Halloween spirit. It’s hard to tell from a front view but Astro had tarantulas drawn on his fur. 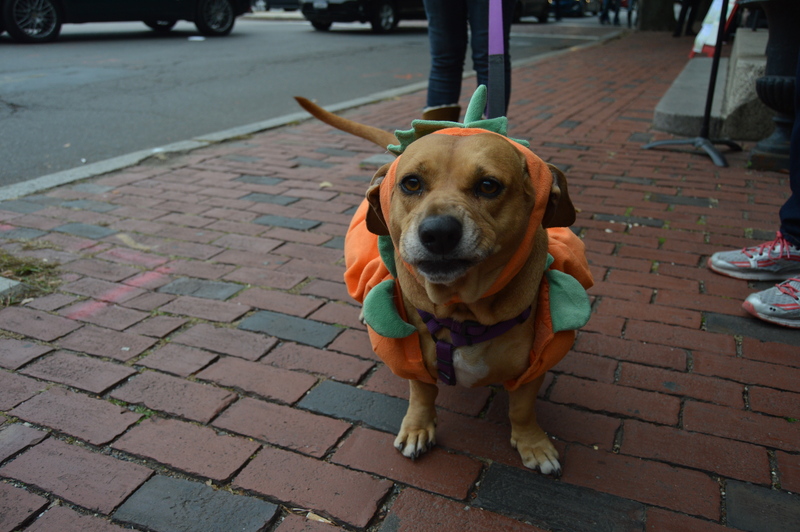 Molly was quite the cute pumpkin. Oz was dressed as a Cadaver dog for Halloween. 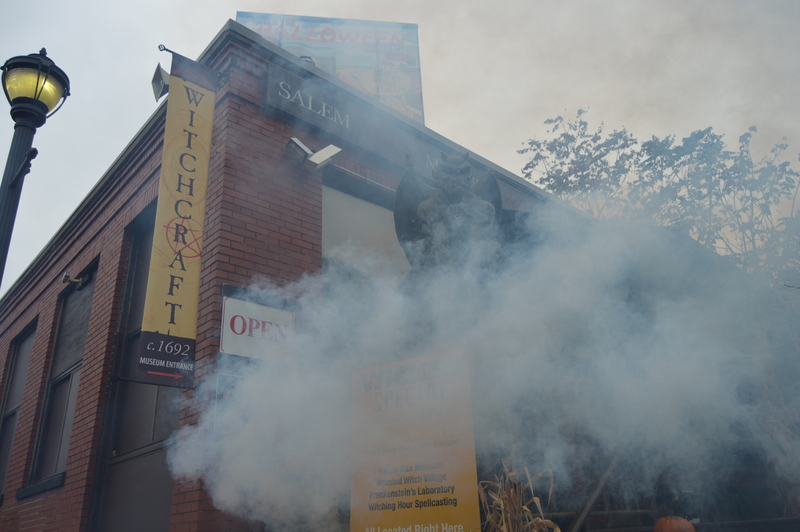 I will continue my Halloween in Salem themed photoblogs throughout the week. Thank you for stopping by and Happy Halloween!